The Bernstein Defense Except Gligoric System variation. 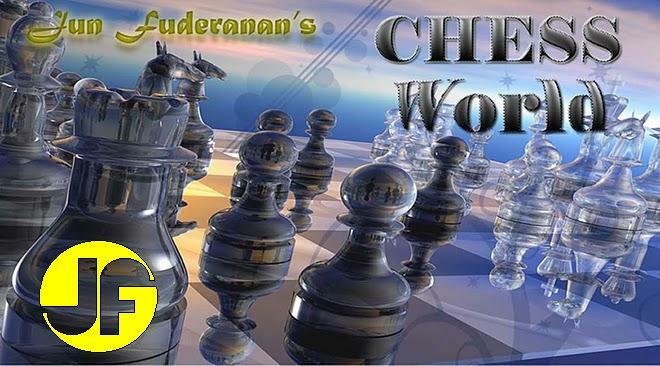 White defends the c4 Bishop, attacks Black's Bishop at b4, and at the same time exerts more pressure on the e6 pawn. White neutralizes Black's control of the long diagonal, taking advantage of the pin on the Queen. Black desperately needed to remove the Queen out of pin. If 18....h6, then 19. Bh4 g5, 20. Nxg5 hxg5, 21. Bxg5 and White still retains the pin. A freeing move, which creates mobility for White's pieces. White threatens 24. Re7 followed by Nf5+ with a blistering attack. If 23....Rce8, then 24. Bc2 Rxe1, 25. Rxe1 (...h6, 26. Nf5+ ...) Rh8, 26. Nf5+ with renewed threats. The Classical Variation of the French Defense. The Burn Variation, named after Amos Burn, one of the leading chess players in the 19th century, and a chess writer. White sets a trap. With this move it seems White intends to capture the Rook on a8. Black falls into the trap. With a few more moves, White opens the h-file. Another sacrifice! White uses the h-file to her utmost advantage. At this point, White wins the game. But Black manages to prolong the game further. What happens if White just moves the King away? If 21. Kb1, the game may continue ....Bh4, 22. Nxh4 Qf6, 23. Nxg6 Qg7, 24. Ne7 mate. Polgar made the text move, knowing that she is winning anyway. Without his Queen, Black is lost. Black takes advantage of the pin on White's King. If 12....Bb7, then 13. Bxb7 Qxb7, 14. cxb4 and White is one piece up. Not 14....Qxa1 because of 15. Bg5! If 17....a6, then 18. Qh4+ f6, 19. Bxf6 gxf6, 20. Qxh7+ Kf8, 21. Qh8+ Kf7, 22. Qxd8 and the position favors White. If 18....Qxb5, then 19. Qxg7+ Ke8, 20. Qh8+ Ke7, 21. Bxf6+ with an overwhelming attack. Preparing for an attack on h5. Black defends the g7 pawn. In the course of the game, Black has underestimated the importance of this defense. The alternative 19.....Bf8 will not hold because of 20. Bh5+ Ke7, 21. Qg6 with a mating threat at f7. Black also threatens the a1 Rook. The Black Queen is driven away, and there is no stopping White in a mating attack. If 22...Qxa1, then 23. Bh5+ Kf8, 24. Qh8+ Ke7, 25. Qxg7 mate. This innocuous sacrifice is meant to open the g-file. If 15....Bxh1, then 16. Qh6 winning the Knight and the game. If 19....f6, then 20. Rd1 Qb4, 21. Rd7+ and White's attack would be overwhelming. Black's King is trying to escape from the tight situation he is in. White loses after 24. Qh8+ Ke7, 25. Qxg7 Qxf4+, followed by 26.....Nxc3 or 26.....Qd2 depending on White's move. With the text move, if Black captures the Bishop with 24....Bxe4, then White wins Black's Queen with 25. Bxe4 Qxe4, 26. Bc7+. If 25....Kxb7, then 26. Qg3+ and White's attack will be decisive. Now, if 26....e5, then 27. Nf6 and White wins the Rook. Now, if Black decides not to capture the Bishop, he loses the Queen by a double-check, or the Rook after 25....Ke7, 26. Qg3 Qd5, 27. Nf6. This sacrificial move intends to open the g-file for White's attack. Black moves the Queen out of harm's way. The Black Knight is much too powerful in his present post. If 19. exf6 Bxf6, 20. hxg6 h6, White's attack fizzles out. White begins to deliver the final blows. If 20....hxg6, then 21. Qh7 mate. If 20.....h6, then the game may continue 21. Bd2, Rae8, 22. Nf7 with a clear advantage for White. Black finally takes the e5 pawn, partly to secure the h7 pawn. If 22.....Kh8, then 23. Rh1 which adds pressure to the h7 pawn. If 23. Qxh7+ Kf6, and Black's King manages to escape. Now, Black's King is forced to retreat: 23.....Kh8, but then comes the crushing blow: 24. Rg8+ Rxg8, 25. hxg8=Q mate.